I’ve spent the better part of the past week getting ready for Chinese New Year, so much so that I nearly forgot about my mammogram and ultrasound from mid-week. I’m not traumatized by these appointments. The medical center I go to has really wonderful staff and technicians. I sandwiched the medical imaging into my busy errands schedule that day. At the end, the techs always walk me to the front desk, shake my hand, give me a card explaining to expect my results in 10-14 days, and wish me good health. For that split moment I wonder about those results. It’s the difference between nothing and everything. And then I strode briskly out the doors, my brain in grocery-hunting mode. Most of the food is prepped or cooked for the big feast on New Year’s Eve. The house is nearly clean because once the new year arrives, you can’t clean for 2 weeks lest you sweep the luck out. Speaking of luck, it’s tradition to hang the Chinese character for luck (fu) on your front door, upside down (dao). Dao is also a homonym for the verb “to arrive” – so you definitely want luck arriving at your door, at your house. Jeremy and I reached a stopping point in the housework Saturday afternoon and took Kaweah for a walk before the snow storm arrived in the evening. It was ridiculously warm out – 45°F! It felt like spring except for the sun low in the sky. 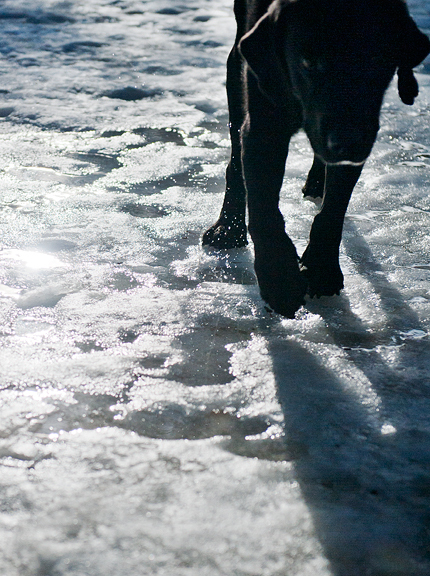 There were patches of bare ground dotting the snow… sad, but not uncommon. What horrified me were the puddles. Liquid water shouldn’t be making an appearance around here until May! Kaweah had a blast sniffing every.darn.thing.on.the.ground. Back home, a message waited in my in-box from my health care provider. Strange. I wasn’t expecting anything. It was a note from my oncologist that my scans were clean. I grinned. That was only four days ago. And my oncologist is working on a weekend AGAIN (of course – he is amazing). It’s been over four years since my first mammogram did NOT detect my cancer, so I take these negative scans for what they’re worth. I trust my yearly MRIs more. Even so, it’s a really nice way to start the new year. 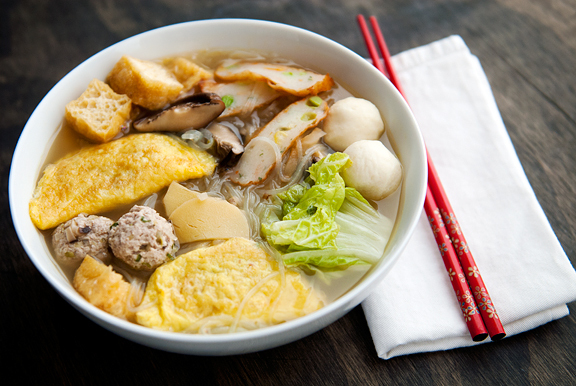 Every Chinese New Year’s Eve we enjoy a big pot of cellophane noodle soup, a type of hot pot (huo guo) that is different from the more common Chinese hot pot. I make the cellophane noodle soup several times a year, but Chinese New Year’s Eve is the only time I go to the effort of making egg dumplings (dan jiao) to add to the soup. They represent wealth (any dumpling represents wealth). Honestly, I make them for the eating more than for the wealth, but it’s a tradition in my family. 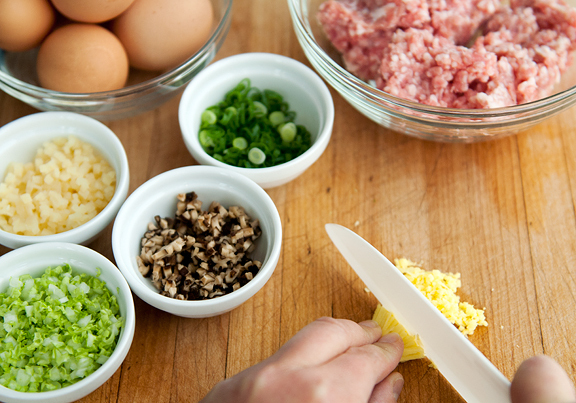 Now the filling can be pretty simple: some ground pork, green onions, seasonings, and you’re good. Since I am making the filling for Chinese potstickers too, I just make a lot of it. It has more vegetables in it, which I prefer. 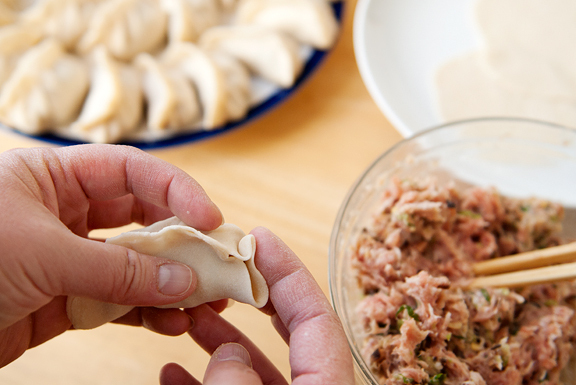 These egg dumplings require a little practice. It’s like making omelets. My first few were enormous and really strange looking. Over the years, I’ve learned to aim for a small size so that they wind up being normal. If they’re too large, they break easily in the soup. I find one to two tablespoons of egg works for the right size of dumpling. Also, pour the egg in the middle of the hot pan and use the back of the spoon to spread it in a circular motion. This helps to keep it circular rather than looking like a map of Italy. Flatten the filling if you can and place it next to the center of the bisector (if the egg is not symmetrical, I recommend choosing the shortest bisector). 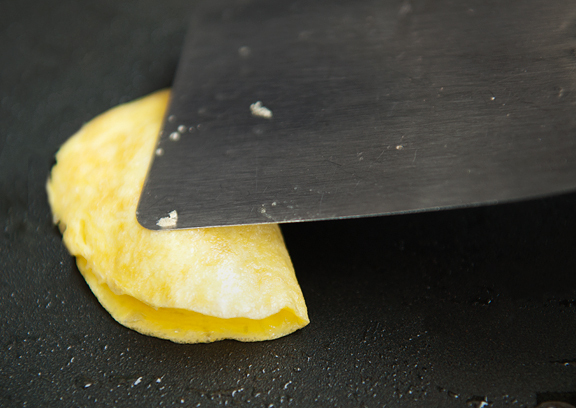 Next, carefully fold the empty half of the egg wrapper over the filling using a spatula. Press the edges down to seal them. 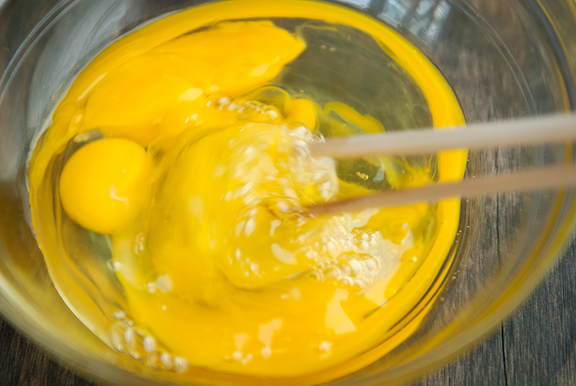 The liquid egg should cook and act like a glue. I like to press the filling down to flatten it a bit too. This can get messy and it’s time consuming since I make these one at a time. If you fold the dumpling too early, it will tear the egg sheet. If you fold too late, the dumpling won’t seal. The base should be cooked, but the top should still be wet and eggy. You usually get the hang of it after the second or third one. I don’t worry about cooking the pork filling all the way through just because it’s going to cook in the soup. If you plan to eat the dumpling on its own (I’ve never done this), then definitely cook it long enough so the filling isn’t raw. My cellophane noodle soup has a chicken broth base. 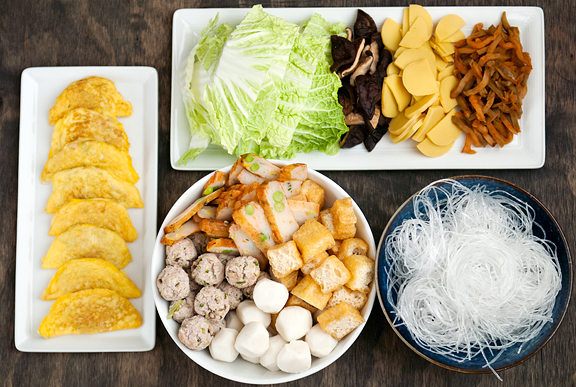 To it, I add Napa cabbage, black mushrooms, bamboo shoots, preserved mustard green, cellophane noodles, fish balls, pork meatballs (same as the filling in the egg dumplings), tofu puffs, tempura cake, and egg dumplings. It’s perfect in winter and hopefully it will bring luck, health, fortune, happiness, and all of the good stuff in the new year. Happy Chinese New Year, everyone! Gong Xi Fa Tsai! 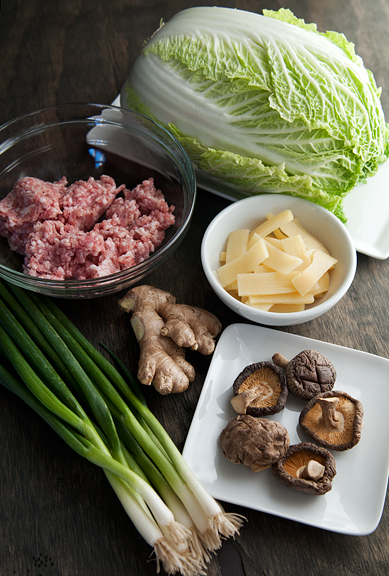 Combine the ground pork, green onion, black mushrooms, bamboo shoots, cabbage, ginger, cornstarch, soy sauce, and sesame oil together in a medium bowl. Mix for even distribution. Beat the eggs and salt together. 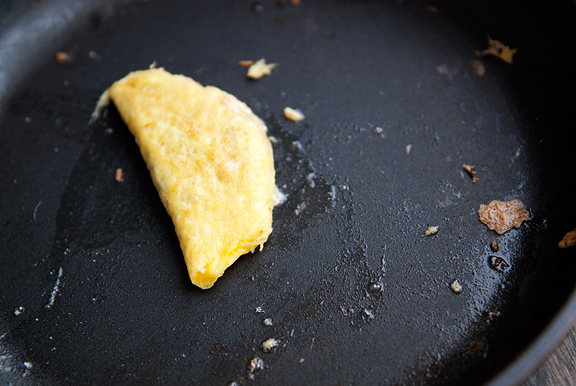 Heat a dash of vegetable oil in a small skillet or frying pan over medium heat. Pour 1-2 tablespoons of the egg mixture in the center of the pan. Use the back of a spoon to gently spread the uncooked egg in a circular motion to form a circle about 3-inches in diameter. 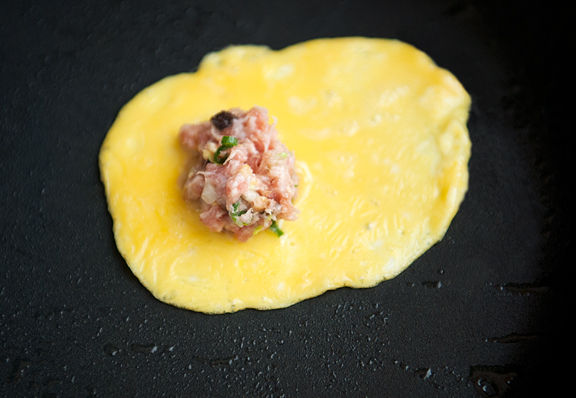 When the base of the egg sheet is cooked, but the top is still uncooked, place a heaping teaspoon of pork filling just off center on the egg. Flatten the filling into a compact oval shape. 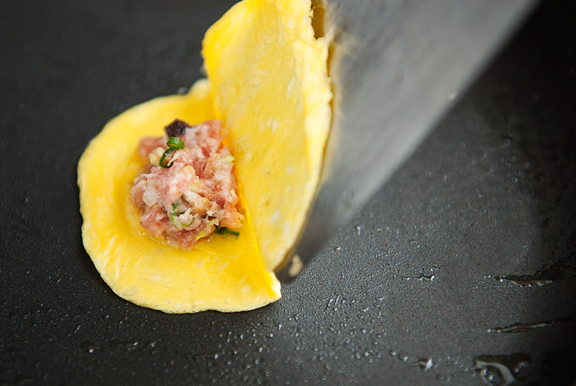 Fold the egg sheet in half, sealing the pork filling in the egg wrapper by pressing the edges together. It should resemble a semicircle. When the egg is cooked, remove the dumpling to a plate and repeat until you run out of ingredients. The egg dumplings are now ready to be added to the hot pot soup (to cook some more – this ensures the pork filling is fully cooked). Makes 24. Happy New Year and thank you for sharing the good news about your clean scan, woo hoo! Fu Dao! Fu Dao! Appreciate you sharing the fun way of expressing the Chinese character Fu! Great pictures Jen for a yummy & wonderful combination soup bowl! Jen, these look fantastic. Happy new year! Happy New Year! So glad that you had great news to start the new year off right. These dumplings look incredible! What kind of pan are you using, is it nonstick? Good looking soup, Jen. You certainly have perfected of making the egg dumplings, better than I have made. This is the first year that I made all these new year food without my Mom around. It made me cried when I was doing the cooking. I miss her so much. All you readers, call your parent(s) and tell them how much you love them when you still have them around. 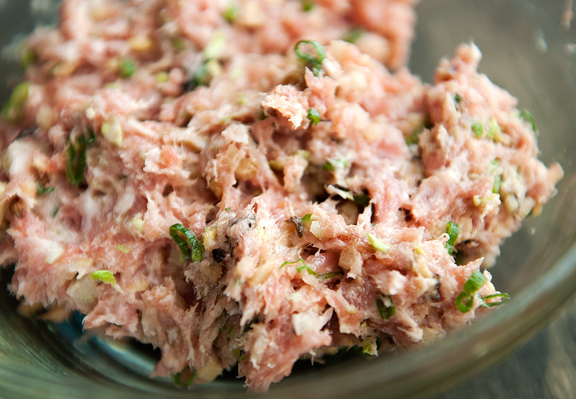 I want to do it again, but I CAN’T………..
Jen: Do you grind your own pork? Or have a supermarket butcher do it? (After cleaning the grinder!) Also, are the “black mushrooms” shitakes? 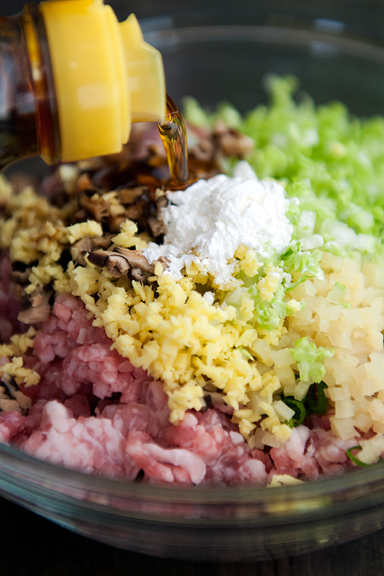 I’m contemplating a run to 99 Ranch for ingredients…this sounds so good! Wow! These look beautiful. Never heard of an egg dumpling before. Will have to try this! Xin nian hao! 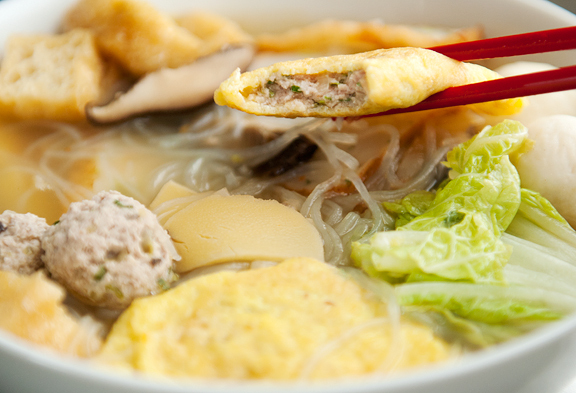 Egg dumplings are a great idea and they look amazing in that soup! My mom made those for Chinese New Year and taught me too. Mmmm, best things in the soup by far. I had something like this years ago in a hole in the wall asian restaurant in Athens Greece. The only difference was that it was rolled: jelly roll fashion and cut into manageable lengths for eating. I need to make these. wow. those are amazing! i’ve never had egg dumplings before, but that is such a genius idea. 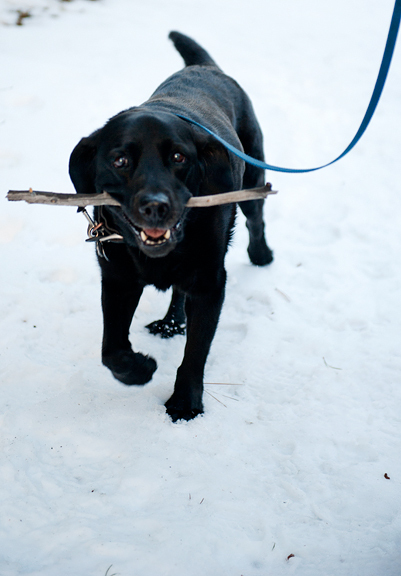 Yum Yum…….and I am glad your Oncologist was able to deliver good news for your New Year! What a guy! This looks wonderful. I’m so happy to hear about your good results. I’ll be even happier when your appointments are no longer yearly! Happy New Year! The soup looks so good, but I’d much prefer to have someone else make it for me than to search out and prepare each ingredient myself! I’ve never even heard of egg dumplings before. I love the idea, although it seems like you’d have a pretty small window with the eggs at the right consistency to fold without breaking but still stick enough to seal. I tried your method of crimping potstickers last week, and it was pretty much a disaster. Apparently it takes a lot of practice! I suspect I’ll stick with my flat ravioli-like potstickers. Happy new year, Jen! I’m so happy that the your scans are clean! Un abrazo grande! Happy New Year! Congratulations on a clear mammogram, too. Your blog always has such beautiful, interesting pictures of the food, the outdoors, and that beautiful black 4-legged girl Kaweah. What a way to start the new year, seriously, biggest congratulations on the clean scan and thanks for sharing another great post w/us. Happy New Year and many more to come. These look so yummy. Thanks for sharing. Love your blog. How do you enjoy your ceramic knive? Love hearing the good news! I am so going to make this. It will be labor intensive, but worth every bit of effort. I just recently discovered your blog and it really is a gem. So many of the Chinese recipes take me back to my own childhood (I’m also an illiterate Chinese kid who gets by in the Asian supermarket with broken sentences and lots of gesturing). Your stories and writing have also really hit home for me. I lost my mom to cancer exactly one year ago, and felt more compelled than ever to bao jiaozi for the New Year this year and make niu ro mian (beefy noodle soup, my favorite of her dishes) on the anniversary of her passing. Cooking her food evokes her memory more vividly for me than talking about her or remembering her in any other way. Thank you so much for sharing. 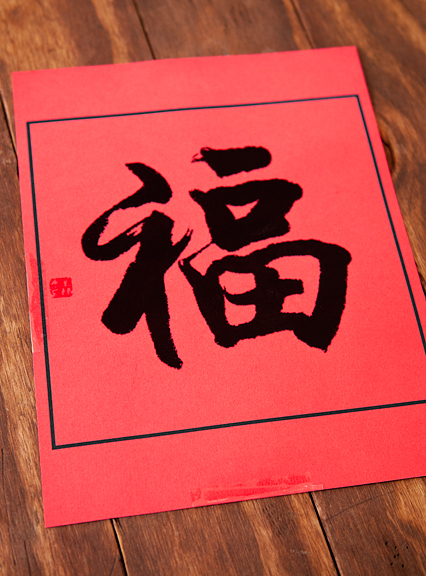 Wishing you lots of health and good fortune this year! Katrina – I like them too, they’re so cute! Lucy – gong xi fa tsai! Ellen – thanks and happy new year! Laura – thank you! The pan I’m using is a Swiss Diamond nonstick, but you can also do this in a cast iron pan or (with enough oil) in a stainless steel pan. Roz – I buy it pre-ground at the supermarket. The black mushrooms are shitakes. Kristin – happy new year! Charlie – wow, that sounds cool. I’ve never had it like that before :) Thanks for sharing! molly – thank you, and happy new year! Bridget – thank you, sweetie. And yes, you are right – you have about 20 seconds if the heat it low enough to seal it. Well, I’m proud of you for attempting the pleats. It does take practice. I’m sure if you invoke your pastry skills, you’ll totally own it! farmerpam – and to you too! Arthur – I love my ceramic knife! Have to treat it with care though, since it is brittle. I’ve heard you have to get it sharpened (professionally by the company) after a couple of years, but I’ve had mine for like… 5 years and it’s still super sharp. I only use it on fruits and vegetables (oh, and tofu). This was so yummy. Made it tonight for the whole family (4 children ages 7-1) and the youngest actually asked for more! I have pinned this to Pinterest as one of my favourites.